For those who don’t know, Kaskade is one of my favorite artists in the dance community. Today, to make him even more amazing in my eyes, he decided to speak up regarding posts by news venues (Cough, Cough) attacking festivals and the fact that the summer overdose-related deaths is going to hurt the Halloween rave community. (3) if you are at a festival, help others who might be in need of help. To know that an artist I love wants to help the community and protect from stigmas, I cannot do anything but support him 100%. Who wouldn’t right? Please give the article a read, please remember we are a community and PLEASE REMEMBER: “education, harm reduction and legalization.” And of course, PLEASE BE SAFE, BE AWARE, AND LOVE THE COMMUNITY YOU ARE A PART OF. You can read the whole post titled I CAN’T KEEP QUIET through the link or below. I’m not a numbers guy. I live for music, I might even choose to die by music, were that possible. But sometimes numbers paint a picture so let’s get smart for one second. 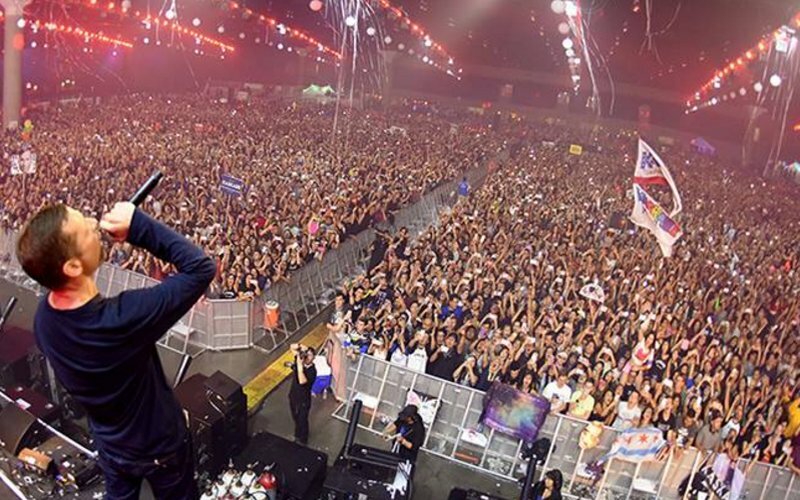 Today an article surfaced in the LA Times, AGAIN, saying the sky is falling because of raves. Its headline screams a salacious “After a summer of deaths, popular Halloween rave won’t be held”. Really. A summer of deaths. Really. In a recent previous article, LA Times states, “There have now been at least 21 confirmed drug-related deaths among people who went to raves nationwide by Los Angeles-area companies since 2006.” As a lover of dance music, a friend, a brother, a son, a husband, and a father, even ONE death strikes me down. But let’s not pretend this is an isolated problem, something unique to dance music culture. According to the National Highway Traffic Safety Administration, every day in America 27 (TWENTY-SEVEN!) people die as a result of drunk driving crashes. That’s more than one person, per hour, every single day. So, in the past 10 years there have been 21 substance-related deaths at dance events. And EVERY DAY there are 27 substance-related deaths, which are somehow less news and attention worthy. I’m happy to tackle substance abuse. I’m happy to use my influence to encourage people to be responsible, to stay alive. But this is a world-wide problem, something that is not even close to being unique to dance music. Part of the problem is people trying to simple-size it. Raves = drugs. So close them down. Start there. And back to the music for me.